Queen Mother Rose went to the Bridge 10 February 2013. Brutus, Marigold and Emily, posted as QM Rose & The Royals. She was one of the original cat bloggers, back when we used to meet at The Daily Kitten. Brutus, Marigold and Emily barely avoided being sent to the Bridge today. I have an old cell phone that works when it feels like it. Because of that, I did not get the call about Rose when it came in last week. They needed contact with me to prevent The Royals from being put down. Today was the final day. Thankfully, the phone worked enough to receive the message. The Royals will need to find homes, if anyone is interested. Animal Rescue said the cats were not handling QM Rose's death very well, they are having a hard time without her. I am making Rose's final arrangements, as no one in her family wants to do it. KC and I are looking to her huge CB family to join in remembering her. I made a memorial post for Rose on her blog where everyone can leave their comments. I will share details as they come available. My BJ was named for Rose's mancat Brutus... he is Brutus Jr. or BJ! Oh no! I am SO sorry to hear this. 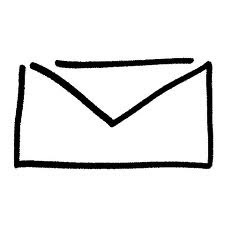 Please check your gmail - I have sent you a message. We are so very, very sorry to hear such sad news. We are so sorry to read about Rose. We'd lost contact with her when she stopped posting when Beau left for the bridge. We hope the kitties can be taken care of and are happy your phone decided to work for you just in time. Oh dear - so sorry to hear this. So very sad. Hope the kitties and find a good home. Oh how very sad!! Please let us know how we can help!! We are so sad to learn of this. We'd also lost contact with Rose after Beau went to the Bridge. Our heart goes out to all of them. Please let us know what we can do to help. Oh, ML. I was just emailing back and forth with Karen about Rose because I had seen a posting on her Facebook page that she had passed away. This is so terrible. I just feel so awful. Poor Emily, Brutus and Marigold. And I didn't even realize that Rose was so ill. I'm so sorry to hear this terribly sad news. I wish I could take in the kitties, but I would certainly help in some other way. I was just wondering how she was doing 2 days ago and went to check her blog. How very very sad. We are so sad about Rose. We know how hard kitties take the death of they human. We took Mac in after my mom passed and he grieved for months. WE are purring and Praying that you find a home for the Royals. We have missed you and pray that all is well with you, too! Oh my goodness! This is such horribly sad news. And the fact that no one in the family will deal with Rose's passing is beyond believable. We sure do hope that the kitties find a loving home. We have missed you on the blogosphere! We are very sorry to hear about KC's sinus issues and the surgery to fix it for her. We're so sorry to hear this. How sad that her family won't do anything. Mom had some FB contact with Rose a while back (Rose lives next to the town Mom grew up in). We had no idea she was ill.
Oh, no! ML, we're so sorry. We know you and Rose were long time friends. So very glad someone was able to contact you in time to help the kitties. We send purrs and pawtaps from us, hugs and prayers from Jan.
We are so sorry to hear this. That is so sad. I sure hope the kitties find a home. I will put the word out about the kitties. This is very sad news. It is terrible that her family won't make the final arrangements for her. We are relieved that you got the message in time for the kitties to be saved. We send our purrs for you and KC. Oh goodness. We are so very sorry this happened. 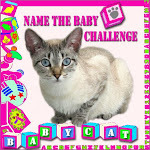 Let us know if we can donate to help get her kitties to an adopted home. Also if anyone is interested in them and they are Facebook users, Underground Railroad Rescued Kitty Network helps transport rescued kitties. I am crying as I read this. I wish there was something I could do. I will miss you so very much. I love you always. Poor Brutus, Marigold and Emily they must be going nuts without her. ML thank you for all you do! I was just thinking about how I hadn't heard from her. She ALWAYS stopped by to say hi and see how I was. She will be missed dearly. She was a true cat lover and what a blessing that she adopted our dear friend Beau when his momma Cathy passed away. This is such sad news. We are so sorry and pray the kitties find a good home. There's definitely a reason your cell phone worked today. Very sad news to hear. We're so sorry to hear about the lovely Rose! Thank you so much for helping with her final arrangements and all of that - we send you many purrs and much love. I'm floored. I know she hadn't blogged in a while, but this is a shock to me. Purrs from the boys for her "babies," and for all who loved her. Bless you for stepping up, when her family won't. Had no idea about Rose and are very very sad to hear about her passing. We hope that someone can step up and save these kitties. It would be kismet since she saved Beau after Cathy died. We can would like to help in any way we could. Sending lots of purrs and prayers. How very, very sad. Prayers are coming along with purrs from the kitties. So sorry to hear the news. Oh my word, how tragic. No family who will take care of the arrangements? How very shocking and sad! We hope someone will take the kitties. We live in Maryland (Laurel) and would be willing to help transport them to a new home. Unfortunately, we have 2 more kitties than we are allowed to have as it is. Let us know if we can help. We're purring for the poor things. I am so so sorry, just grieved to read this. I am so sorry to hear this terrible news, but am so glad you were able to save her babies=I will donate for their transfer if needed...I will keep sweet Rose, her babies, and precious KC in my daily prayers. Please let us know what we can do to help. We can contribute to cost of transport to a safe haven. Such sad news! 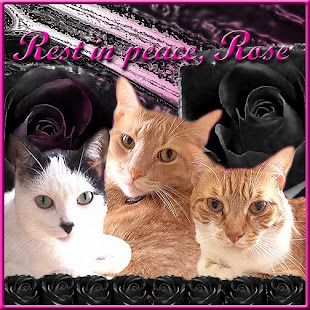 Kind and generous of you to step in to make Rose's funeral arrangements and for rescuing her kitties. This is very sad news indeed. We purr for Rose and especially for her kitties. It is even more sad that you and not her family are making arrangements. We is so sad to hear bout Miz Rose. We sends lots and lotsa purrs and purrayers for tha Royals and fur yoo. Oh such sad news. I worried about her when she stopped blogging. Thank you for doing all this for her and the kitties. If we can help in any way please let us and all of CB know. I am so very sorry, such sad news. What a blessing you are to her and the kitties. I am praying for all of you. I am completely floored by this. I don't know what to write. I am in shock. We're so very sad to hear this. We were worried about her when she stopped blogging, but we had no idea she was so ill. Poor Emily, Brutus and Marigold! We're so glad that your phone worked just in time to get the news and save them. We know that with the help of the CB, you can find them a home like they deserve. Oh my goodness, this is so sad! We're glad you were able to save the kitties. Thank you so much for stepping in for them. Tragic news. How could no one in a family want to reach out at a time like this. Oh no, I am so so so sorry to hear this. My heart is heavy with sadness. I will send purrs that the others will find a new furever home. Our thoughts and prayers are with everyone.... Such very sad news. So glad the kitties could be saved. Hope they find new homes soon. (((hugs))) to all. dearest ML! How dreadfully sorry we are to learn this mews about our Rosie and her Royals. You are such an angel to help out again where needed! We love you so much and have only been sending the best blessings to you and your dear kiddens specially KC. Please know how much we care...miss you and understand what a huge change it is to move and settle in again. Be good to yourself! ML we were so worried about you! Good to hear you're ok but so sorry about your friend. If we can help (we're a bit far away) let us know, ok? Meow from Au, Target and Guido. Just heard the news from Rosie(who else?). So very sad. I too like so many others have lost contact w/my cat bloggers. At least she has someone (ML) to make final arrangements. Such sad news. It breaks our hearts to think that Rose's family is unwilling to take care of her arrangements. ML, you are truly wonderful to step in and help. Sending purrs and we can send some green papers, too, to help with the kitties relocation. That is so very sad. We are sure glad your phone worked today so the babies didn't have to go to the Bridge. We will link to your post on both our facebook pages in hopes that someone is able to help these babies find a new, loving home. Poor babies. This is very sad, we hope that someone can step up to give The Royals a wonderful home. ML thank you for arranging Rose's funeral, it's a terribly sad thing that her family didn't want to do that last thing for her. Rose was a true friend to cats. I'm so sorry . Prayer and Purrs from me. I hope all kitties will be adopted very soon. This is tragic news ~ I am beyond sad. And how heartbreaking that her family do not want to know. Thank goodness her kitties are safe ~ I pray that someone will step up and provide a good loving home for them. This is terrible! I was reading her blog but the last thing she published was in December. Did anyone know she was ill? How could her family not want to handle the funeral arrangements? Bless you for seeing to them. I wish I could take the poor cats but thank goodness they are saved for the time being. Please keep everyone informed and let us know if we can help. We are so very relieve you were able to save the cats. We immediately worried about them when we heard the news. Purrs they find loving homes. We are so very sad about Queen Mother Rose. That is so sad. I hope they find a home. OH! That is so sad, on so many levels. Purrrrrrring that The Royals find a good home, and soon. Having their world turned upside down like that has got to be rough on them. we were just thinking about her and some of the other original bloggers. very sad news. 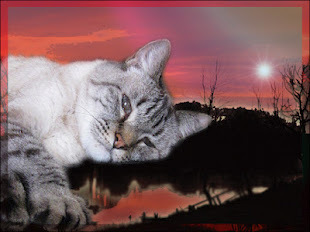 kazoku neko is sending healing and comforting purrs and prayers to Rose's furrbabies. missing your presence in the blogosphere ml. 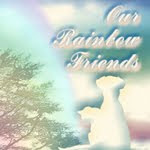 purrs and prayers for kc and the rest of your clowder. Hi ML, it is always sad when families don't help. ML could you call me (443-527-9226) when you get a chance? The boys and I would be honored to have HM Queen Emily join our family. Oh, this is such terrible news. We are purring and praying for the whole situation, and especially for Brutus, Marigold and Emily. nice post! first time i am going to bookmark post of any other person on my social accounts but i like this. فنحن نقدم خدماتنا المتميزة في رش المبيدات الى المنازل والفلل والمحلات التجارية والفنادق المختلفه حيث تعتمد الشركة على مجموعه من المبيدات الآمنه والفعالة والموثوق فيها بإعتماد وزارة الصحة السعودية.